Much has been made of Jared Leto’s seemingly relentless commitment to portraying Joker in this year’s Suicide Squad – but what of his equally deranged partner-in-crime, Harley Quinn? Donning the pigtails as the famed DC anti-hero is Margot Robbie, and the actress recently outlined her own preparation for the part during an interview with Coming Soon. There, Robbie noted that she “did a lot of research on mental illness and codependency,” to capture the essence of one Dr. Harleen Frances Quinzel. 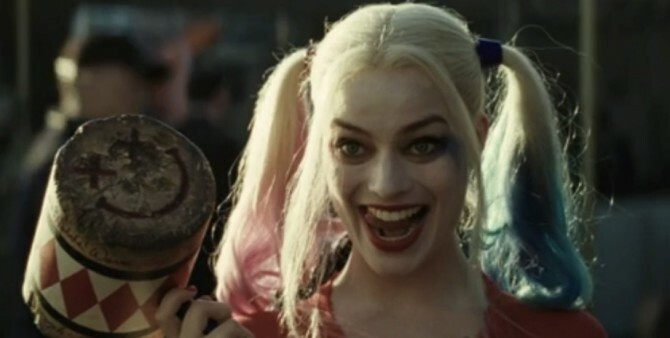 Of course, Leto’s Clown Prince of Crime is as much responsible for Harley Quinn’s insanity as anyone else, with the recent Suicide Squad trailers hinting that David Ayer’s feature will stick close to the established origins story – Girl meets nutjob. Nutjob turns girl into fellow nutjob. Bouncing off this, Jared Leto also addressed the topic of whether we’ll see a Joker origins story in Suicide Squad. Unsurprisingly, the actor remained mum on the specifics. Suicide Squad assembles Task Force X in all of their villainous glory come August 5.